The Department of the Treasury is a cabinet-level department responsible for promoting economic prosperity and ensuring the financial security of the United States. The department carries out a wide range of activities, such as advising the President on economic and financial issues, encouraging sustainable economic growth and fostering improved governance in financial institutions. Treasury operates and maintains systems that are critical to the nation’s financial infrastructure, such as the production of coin and currency, the disbursement of payments to the American public, revenue collection and the borrowing of funds necessary to run the federal government. The department also supports national security by implementing economic sanctions against foreign threats to the US, identifying and targeting the financial support networks of national security threats (i.e. terrorists) and improving the safeguards of the US financial system. Among the department’s many offices is the Internal Revenue Service, perhaps the best known and most hated of Treasury operations. The IRS is often the source of much debate and controversy for the department, along with lesser known offices that regulate banks and savings institutions and manage the national debt. On September 2, 1789, Congress established a “Department of Treasury” to manage the new federal government’s finances, and created the position of Secretary of the Treasury to run the new department. President George Washington appointed Alexander Hamilton as the first Secretary of the Treasury, taking office on September 11, 1789. Hamilton had served as George Washington’s aide-de-camp during the Revolution and was a key player in the ratification of the US Constitution. Hamilton was viewed as a good choice for the treasury because of his financial and managerial acumen, which was needed to solve the problem of the new nation’s heavy war debt. Hamilton’s first official act was to submit a report to Congress in which he laid the foundation for the nation’s financial health. He surprised many members of Congress when he insisted that the country repay its war debt of $75 million dollar-for-dollar in order to establish a sound level of credit for the fledgling federal government. In addition to handling the fiscal responsibilities of the new government, the Treasury Department was given many other functions to take care of. For instance, the Postal Service was supervised by Treasury until 1829, and the General Land Office, which was the nucleus of the Department of the Interior, was part of Treasury from 1812 to 1849. Operations associated with business were Treasury activities until the creation of the Department of Commerce and Labor in 1903; and the functions of the Office of the Supervising Architect of the Treasury were eventually established within the General Services Administration in 1949. The oldest seagoing armed service in the United States, the Coast Guard, remained in the Department of the Treasury until its transfer to the Department of Transportation in 1967. Other marine interests were administered by Treasury: the Coast Survey, the Lighthouse Service, and the Marine Hospital Service, from which the Public Health Service, and ultimately, the Department of Health and Human Services grew. The Bureau of Narcotics was part of Treasury until its functions were relocated in the Department of Justice as today’s Drug Enforcement Agency. The Bureau of the Budget, established in Treasury in 1921, was transferred to the Executive Office of the President in 1939 and now oversees the spending of federal funds as the Office of Management and Budget. The Civil War had a great effect on the US Treasury, due to the loss of customs revenues from the seceded Southern states. As a result, the Bureau of Internal Revenue was created in 1862 by President Abraham Lincoln and Congress to enact an income tax to pay for the war. The tax was repealed ten years later, revived in 1894, and ruled unconstitutional by the Supreme Court the next year. In 1913, the 16th Amendment gave Congress the authority to enact an income tax. At the time, net personal incomes above $3,000 were taxed 1% and incomes over $500,000 were subject to a 6% surtax. In 1918, income tax rose as high as 77% to finance the First World War, dropping to 24% in 1929, and rising again during the Depression. Congress introduced payroll withholding and quarterly taxes during World War II. During the 1950s, the bureau underwent a reorganization to replace a patronage system with career, professional employees, and its name changed to the Internal Revenue Service. The IRS Restructuring and Reform Act of 1998 (PDF) further reorganized and modernized the agency, based on a private-sector model of organizing operations around customer groups. The act also significantly enhanced taxpayers’ rights with regard to dealings and debates with the agency. In 1791 the federal government established the first Bank of the United States, a central bank founded at the urging of Secretary Hamilton. The Bank of the United States provided oversight of all banks in the country. When the Bank of the United States’ congressional charter expired in 1811, a second Bank of the United States was created in 1816 and operated until 1832. When the second Bank of the United States went out of business in 1832, state governments took over the job of supervising banks. In those days banks made loans by issuing their own currency. These bank notes were supposed to be fully backed by gold or silver reserves. It was the job of state bank examiners to visit banks and certify that institutions had enough gold or silver on hand to redeem its outstanding currency. Because this was not always done, many bank note holders found themselves stuck with worthless paper. It was sometimes difficult or impossible to detect which notes were sound and which were not, because of their staggering variety. By 1860 more than 10,000 different bank notes circulated throughout the country. This system created financial havoc for the economy as counterfeiting became epidemic and hundreds of banks failed. Calls for a uniform national currency grew as time went on. In response, Congress passed the National Currency Act in 1863. In 1864, President Lincoln signed a revision of that law, the National Bank Act. These laws established a new system of national banks and a new Treasury Department agency headed by a Comptroller of the Currency. The comptroller’s job was to organize and supervise the new banking system through regulations and periodic examinations. Under this new system, national banks bought US government securities, deposited them with the comptroller and received national bank notes in return. By being lent to borrowers, the notes gradually entered circulation. On the rare occasion that a national bank failed, the government sold the securities held on deposit and reimbursed the note holders. When the Great Depression hit in 1929, it created complete turmoil for the American banking system. In the last quarter of 1931 alone, more than 1,000 US banks failed, as borrowers defaulted and bank assets declined in value. This led to scenes of panic throughout the country, with long lines of customers queuing up before dawn in hopes of withdrawing cash before the bank had no more to pay out. The banking crisis was the first order of business for President Franklin D. Roosevelt. The day after taking office, on March 5, 1933, he declared a bank holiday (PDF), closing all the country’s banks until they could be examined and either be allowed to reopen or be subjected to orderly liquidation. The bulk of this work fell to the Treasury Department’s Office of the Comptroller of the Currency (OCC). Three months later, Congress approved the Glass-Steagall Act which created the Federal Deposit Insurance Corporation (FDIC). Under the FDIC system, bank accounts were covered up to $2,500 per depositor (now $100,000). Other laws were passed regulating bank activities and competition, with the objective of limiting risks to banks and reassuring the public that banks were, and would remain, safe and sound. This lasted until the late 1980s, when savings and loans (or “thrifts”) across the country collapsed in the wake of federal deregulation. The so-called S&L crisis resulted in 747 savings and loan associations going out of business at a total of $160.1 billion. Among the many S&L’s that failed was Silverado Savings and Loan, which was run by Neil Bush, brother of President George W. Bush, and son of then-President George H. W. Bush. Another prominent Republican implicated in the scandal was Sen. John McCain (R-AZ), who was part of the “Keating Five”—a group of lawmakers who pressured federal regulators on behalf of savings and loan mogul Charles Keating. In 2008, the country was rocked by one of the largest housing crisis in US history, which threatened to bring down numerous banks. By the summer, the OCC had stepped in and closed several national banks, including First National Bank of Nevada and First Heritage Bank of Newport Beach, CA. As of July 2008, some banking experts predicted approximately 100 banks would fail by the time the crisis was over. Others, however, described such an estimate as wishful thinking, arguing the final number would be much higher. The Department of the Treasury is responsible for implementing the US government’s fiscal policies and maintaining the overall soundness of the US economy. The Treasury Department oversees the collection of all federal taxes and accounts for all monies in the federal system. It also manages the printing or engraving of US coins and paper currency, and any borrowing performed by federal agencies (including the national debt). Another key duty is monitoring banks and savings institutions which Treasury officials audit and take action on in cases of bank failures. Internal Revenue Service: Charged with collecting taxes and enforcing tax laws, the Internal Revenue Service is popularly dubbed the “most hated” agency in the US government. The agency determines, assesses and collects revenue, including from personal and corporate income taxes, excise, estate and gift taxes, as well as employment taxes for Social Security. The IRS is the largest bureau within the Department of the Treasury—and according to the government, one of the world’s most efficient tax administrators: In 2004 the IRS collected more than $2 trillion in revenue and processed more than 224 million tax returns. As the federal body responsible for carrying out the government’s tax policy, the agency finds itself at the center of an interminable, and usually bipartisan, debate over how America is funded. In 1998 the IRS Restructuring and Reform Act aimed at transforming the culture of the IRS and significantly enhanced taxpayers’ rights in disputes with the agency. However, many still criticize IRS Criminal Investigation (CI) operations for a perceived abuse of unchecked power. And in recent years, operational changes—including the outsourcing of collections to private agencies and the introduction of online filing—have also been the subject of debate. Financial Management Service: FMS acts as the federal government’s money manager and bookkeeper, developing financial systems to move the government’s cash flows “efficiently, effectively and securely.” FMS provides centralized payment, collection, and reporting services for the government. FMS disburses more than $1.6 trillion to approximately 100 million individuals via Social Security and veterans’ benefits, income tax refunds and other federal payments. It collects more than $3.11 trillion per year in payments to the government through 10,000 financial institutions, with more than $2.45 trillion collected electronically. The office provides cash management guidance to federal program agencies and serves as the government’s central debt collection agency by managing the government’s delinquent debt portfolio. In doing so, FMS collects more than $3.7 billion per year in delinquent debts. Alcohol and Tobacco Tax and Trade Bureau: TTB is responsible for levying and collecting excise taxes on alcohol, tobacco, firearms and ammunition. By helping to develop legislation and regulations involving alcohol, tobacco, firearms and ammunition products, and ensuring that these products are labeled, advertised and marketed appropriately, the agency aims to protect consumers. TTB also conducts product analysis and ensures trade compliance with the Federal Alcohol Administration Act and the Internal Revenue Code. TTB is headquartered in Washington, DC, and maintains an office in the National Revenue Center in Cincinnati, Ohio. Staff members are analysts, chemists, investigators and auditors. Others serve as financial, legal, information management and computer specialists. Bureau of the Public Debt: BPD is responsible for selling treasury securities such as US savings bonds to members of the public. The money made from selling these securities is, in essence, borrowed in order to finance the activities of the federal government and to account for its resulting debt. The agency pays interest to investors who buy the securities, and when it’s time to repay the loans, the agency redeems investors’ securities. Every transaction affects the outstanding national debt of the United States. Today, that debt stands at $9 trillion. It took the United States a little over 200 years to exceed the trillion dollar mark, but less than 30 years to go from $1 trillion to almost $10 trillion. The constant accumulation of debt has created considerable debate over what the country should do about it. Federal Financing Bank: The FFB provides loans for government agencies for expenses not covered by Congressional approoriations. FFB is a government corporation that functions under the general supervision of the Secretary of the Treasury. The FFB was established to centralize and reduce the cost of federal borrowing, as well as federally-assisted borrowing from the public. The FFB deals with federal budget management issues that occur when off-budget financing floods the government securities market with offers of a variety of government-backed securities that are competing with Treasury securities. Today, the FFB has statutory authority to purchase any obligation issued, sold or guaranteed by a federal agency to ensure that fully guaranteed obligations are financed efficiently. United States Mint: The US Mint is responsible for producing, selling and protecting the country’s coinage and assets. The agency makes sure the economy has an adequate volume of circulating coinage for the nation to conduct trade and commerce initiatives (in recent years, this has meant an average of between 11 and 20 billion coins annually). Additionally, the US Mint produces domestic, bullion and foreign coins; distributes coins to the Federal Reserve banks and branches; maintains physical custody and protection of the nation’s $100 billion of US gold and silver assets; produces proof, uncirculated and commemorative coins and medals for sale to the general public; designs and produces the congressional gold medals; manufactures and sells platinum, gold and silver bullion coins; and oversees production facilities in Denver, CO, Philadelphia, PA, San Francisco, CA, and West Point, NY, as well as the US Bullion Depository in Fort Knox, KY.
Bureau of Engraving and Printing: BEP is responsible for printing federal reserve notes for the Federal Reserve and producing a variety of government security documents. In addition to producing currency, BEP produces other government security documents, such as portions of US passports, materials for the Department of Homeland Security, military identification cards and Immigration and Naturalization (INS) certificates. These documents are designed and manufactured with advanced counterfeit deterrence features. BEP is also responsible for advising other federal agencies on matters of document security. The agency processes claims for the redemption of mutilated currency and uses its research and development efforts to focus on the continued use of automation in the production and counterfeit deterrence process for security documents. Office of the Comptroller of the Currency: OCC charters, regulates and supervises all national banks. It also supervises the federal branches and agencies of foreign banks. A national bank is a financial institution chartered by the OCC. National banks can usually be identified because they have the words “national” or “national association” in their titles or the letters NA or NT&SA following their titles. For example, Bank of America is a national bank (its legal name is Bank of America, NA). Other prominent banks that are national banks include Wells Fargo, Citigroup and JP Morgan Chase. National banks total more than 1,800 in the country today, representing about 23% of all insured commercial banks in the United States and holding 68% of the total assets of the banking system (or $6.6 trillion). Office of Thrift Supervision: OTS monitors savings associations and their holding companies to ensure their solvency and compliance with consumer laws. OTS oversees savings associations, officially known as Federal Savings Banks (FSB), which have established their charters through the office. As of 2007, OTS kept watch over 831 thrifts with assets of $1.57 trillion plus 470 holding companies with US assets of $8.5 trillion. Examples of institutions that OTS monitors are Capitol One FSB, Chevy Chase Bank, Citicorp Trust Bank FSB, ING Bank FSB and Washington Mutual Bank. OTS carries out audits of Federal Savings Banks every 12-18 months, and when it finds violations, issues enforcement actions. Examiners also monitor the condition of thrifts through off-site analysis of regularly submitted financial data and regular contact with thrift personnel. Financial Crimes Enforcement Network: FinCEN was established with the aim of sharing financial information in order to prevent money-laundering and terrorist financing. In its current form, FinCEN primarily analyzes information accumulated from the Bank Secrecy Act (BSA) in combination with other government and public information and compiles it into databases made accessible to 165 federal, state and local agencies. FinCEN is a member of the international Financial Action Task force and shares information with the 106 other Financial Intelligence Units (FIUs) that form The Egmont Group. It is the only federal agency devoted solely to gathering, analyzing and disseminating information from law enforcement, intelligence and public databases. Although most Americans know nothing about FinCEN, its work is key to major criminal investigations and, in some cases, high profile busts of public officials, such as former New York Governor Eliot Spitzer. 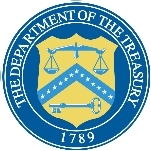 Office of Foreign Asset Control: An agency within the Under Secretary of the Treasury for Terrorism and Financial Intelligence, OFAC administers and enforces economic sanctions imposed on hostile states, nationals and organizations as determined by US foreign policy and national security. It publishes and updates the Specially Designated Nationals List, a comprehensive list of people, organizations and nations with whom it is prohibited for US citizens, residents and organizations to engage in business. The agency currently maintains a comprehensive ban requiring Americans to apply to OFAC for permission to interact commercially in any aspect with Burma (Myanmar), Iran, Sudan and Cuba. It also maintains a non-comprehensive ban in North Korea, Colombia and Iraq among other places, in where only certain industries and specific destinations are sanctioned. The difference between the two types of bans is practically negligible considering that the agency reserves the right to grant trading rights to any given applicant. Any activity conducted with any banned destination is tightly regulated and carefully monitored. Even though American nationals may send remittances to Cuba, those remittances allowed to be carried by travelers was reduced from $3,000 to $300 in 2004. According to the USAspending.gov, the Treasury Department has spent more than $30 billion on contractors since 2000. More than 30,000 businesses and organizations have been paid by the department for goods and services, such as telecommunications services ($4.9 billion), precious metals primary forms ($3.08 billion), nonferrous base metal refinery and intermediate forms ($2.1 billion), administrative support services ($1.7 billion) and advertising services $1.1 billion). The biggest spenders within the Treasury Department are the IRS ($12.5 billion), the United States Mint ($7.08 billion), Bureau of the Public Debt ($4.1 billion), Bureau of Engraving and Printing ($2.06 billion) and the Financial Crimes Enforcement Network ($1.9 billion). In July 2008, regulators from the Office of Thrift Supervision (OTS) took over struggling mortgage lender IndyMac Bank, the second-largest failure ever of a US financial institution and the largest since the Great Depression. The bank’s 33 branches were closed temporarily until the Federal Deposit Insurance Corporation (FDIC) officially reopened the bank as IndyMac Federal Bank. During the closure, customers were unable to bank by phone or Internet, causing many to panic over what would become of their deposits. Federal authorities estimated that the takeover of IndyMac, which had $32 billion in assets, would cost the FDIC $4 billion to $8 billion. Regulators said deposits of up to $100,000 were safe and insured by the FDIC. The agency’s insurance fund has assets of about $52 billion. OTS Director John Reich said IndyMac’s failure was a “unique” incident that did not “signal a direction for the industry as a whole.” In fact, Reich blamed the lender’s demise on a deposit run that came after Sen. Charles E. Schumer (D-NY) sent a letter to regulators on June 26 questioning IndyMac's viability. That move prompted customers to withdraw $1.3 billion in the 11 business days following Schumer’s letter. Reich was not at all pleased with Schumer’s public disclosure about IndyMac. Schumer and his defenders, in turn, accused Reich and his supporters of attacking Schumer as a way of shifting the focus away their own failure to properly regulate the IndyMac collapse. In June 2008, the Treasury Department’s Comptroller of the Currency, John Dugan, publicly accused banks and mortgage firms of providing questionable information about the number of subprime mortgage borrowers they were helping and the rate at which homeowners were falling into foreclosure. The data was deemed crucial for regulators to gauge the severity of the housing crisis and evaluate the effectiveness of the steps lenders were taking to address the problems. Dugan said his agency found “significant limitations with the mortgage performance data reported by other organizations and trade associations.” He added that he was referring to information provided by groups such as the Mortgage Bankers Association, which reports a foreclosure rate widely cited by regulators and the media. The Office of the Comptroller of the Currency calculated that the rate was higher based on raw data it collected from nine of the country’s largest banks. Dugan’s comments also raised questions about the accuracy of the reporting from Hope Now, an alliance of mortgage firms and banks that was formed by the Bush administration to help financially troubled holders of subprime mortgages. Leaders of Hope Now have claimed to have helped more than 1 million homeowners, but those figures were self-reported by lenders in response to the kind of surveys Dugan had faulted. Who Bears the Cost of the US National Debt? A March 2006 report issued by the Congressional Research Service’s Government and Finance Division outlined the controversial aspects of adding more to the national debt, saying it shifted the burden of responsibility onto future generations to not only pay back the money but to make sacrifices necessary to do so. Since growing the debt only makes it harder to pay off, including its enormous interest payments, this burden will become almost unbearable to these future generations. For years the Internal Revenue Service (IRS) has used its Questionable Refund Program to sniff out tax cheats claiming they are owed a refund. Under this program, computer programs and data-mining techniques are used to sift through millions of tax refund requests and financial records, using the same basic approaches employed by the National Security Agency to analyze billions of phone calls, e-mails and other data. But while the security agency is looking for clues to potential terrorists, the IRS is mining its data for fraudulent tax-refund requests. According to a government study, almost two-thirds of the refund requests identified as fraudulent through IRS data-mining are actually honest and clean. Of those returns categorized by the IRS as “conclusively fraudulent,” 46% weren't fraudulent at all. In other words, IRS data-mining falsely identifies hundreds of thousands of American taxpayers as tax frauds every year. As concerns about fraud and terrorist financing grow, an increasing number of suspicious deposits, withdrawals and money transfers are being reported by banks and others to the federal government. Banks and credit unions, as well as currency dealers and stores that cash checks, reported a record 17.6 million transactions to the Treasury Department’s Financial Crimes Enforcement Network (FinCEN) in 2006. The Government Accountability Office (GAO) reported in 2005 that the Treasury Department had failed to dock 33,000 businesses that owed back taxes to the federal government totaling $3.3 billion. Under federal law, the department’s Financial Management Service (FMS) was supposed to withhold 15% from payments the government makes to companies owing taxes. Instead of collecting the three billion owed to the US treasury, FMS only collected $16 million. In June 2003, a Congressional Research Service report to Congress presented the case for increasing the national debt in order to pay for expensive programs like the Social Security, Medicare, transportation and civil service trust funds. Supporters of the thesis argued that debt taken on by the government alleviates debt the public has to take on. This is a controversial position because many believe the federal government should not go deeper into debt when public programs may have to be cut. During the administration of President George W. Bush, tax cuts have provoked some of the most intense debates in Washington, DC, and around the country. During Bush’s first term, the Treasury Department slashed income and other taxes—totaling $1.7 trillion—in order to stimulate economic growth. These decisions elicited cries of injustice from the political Left—who pointed out that the biggest breaks and benefits were going to the richest Americans—and the Right, who claimed the rich were being unfairly punished. In a New York Times article, a nonpartisan Congressional study showed that families earning more than $1 million per year saw their federal taxes drop more sharply than any other group—while the tax burden has largely shifted to the middle class. Meanwhile, another study by the Tax Foundation argued that despite the reductions implemented by the Treasury Department, America’s wealthy continue to pay a disproportionate share of tax revenues. For Democrats, the Bush tax cuts have been little more than a boon to the wealthiest in America. They point to a study performed by the non-partisan Congressional Budget Office (CBO)—led by a former senior economist from the Bush White House, Douglas Holtz-Eakin—that found that since 2001, President Bush’s tax cuts have shifted federal tax payments from the richest Americans to middle-class families. The CBO study found that the wealthiest 20%, whose incomes averaged $182,700 in 2001, saw their share of federal taxes drop from 64.4% of total tax payments in 2001 to 63.5% in 2007. The top 1%, earning $1.1 million, saw their share fall to 20.1% of the total, from 22.2%. Over that same period, taxpayers with incomes from around $51,500 to around $75,600 saw their share of federal tax payments increase. Households earning around $75,600 saw their tax burden jump the most, from 18.7% of all taxes to 19.5%. The analysis echoed similar studies by think tanks and Democratic activist groups. National Debt: Pay It, or Leave It? Since the national debt began to grow, after the Revolutionary War, there has been contentious debate about whether it is better to have the nation remain in debt, thus keeping the burden from the people, or to pay off the national debt, and learn to live within our means. This debate continues today with strong opinions on both sides. In June 2008, billionaire Ross Perot warned that the federal deficit must be addressed immediately, or the nation will suffer bankruptcy. He launched a web site to spotlight the national debt, which stands at $9.5 trillion, and the danger it poses to US currency (due to hyperinflation) if this trend continues. Some believe that the nation is headed into another Depression, primarily because there are few well-paying jobs, little economic growth, and an astronomical debt that is added to each month. Perot points out that this could soon reach crisis proportions because of the size of the Baby Boomer generation which is beginning to retire. These people are likely to put an added burden on the Medicare and Social Security systems, which are linked to the national debt. Lastly, many experts in favor of paying of the debt point out that more money in the economy doesn’t always lead to economic growth. Stimulus plans have historically not worked and instead caused the national debt to soar even higher. On the other side of the argument, those who do not want to pay down the national debt say that once the federal government has paid its debts, there is likely to be a period of “deflationary recession,” which would cause further financial problems. Instead, proponents of keeping the national debt as it is suggest focusing on increasing the country’s GDP and reducing the percentage of debt the nation carries relative to its productivity. Deficit spending like this is likely to increase the GDP, they argue, as it did in the years following World War II. Other opponents argue that paying off the debt has to be done eventually, but why do it now? The national debt accrues interest at a rate of only 6%, so why not apply our fiscal resources on other more pressing concerns? For decades now, debates over tax reform have often focused on the subject of eliminating the income tax and replacing it with a national sales tax. The latest incarnation of this proposal is known as the FairTax, which would do away with the income tax, Social Security tax, corporate tax and what’s left of the estate tax, and replace all of this lost revenue with one big national sales tax. The FairTax was designed by Americans for Fair Taxation (AFFT), chaired by Houston businessman Leo Linbeck. The group says it has spent some $23 million coming up with a way to simplify taxes, signing up A-list economists to do the research and focus-grouping the concept. The FairTax is what economists call a consumption tax, and the basic economic rationale for it is the same as for all such taxes. It is designed to make saving and investing more attractive to people and companies, which most economists think would spur economic growth as people plow more cash into starting businesses, building factories and so on. To stay ahead of attempts by counterfeiters to produce illegal copies of US currency, the Bureau of Engraving and Printing plans to redesign American currency every seven years to 10 years. That is a far cry from the practice for most of the 20th century when the currency stayed the same without any major changes. By order of Congress, the $1 bill, which accounts for 45% of the notes printed each year, will not be redesigned. Lawmakers were concerned about the cost to business if low-end vending machines that only take coins and $1 bills had to be upgraded. In addition to redesigning the money, the bureau is putting in new printing presses with more capabilities to handle the increasingly sophisticated security features. When the savings-and-loan crisis of the late 1980s occurred, the agency in charge of thrifts—the Federal Home Loan Bank Board—was shown the door by officials in Washington and replaced by the Office of Thrift Supervision (OTS). In 2008, as national leaders wrestle with the current mortgage crisis and its affects on the financial industry, OTS may be in danger of being shutdown as well. In March 2008, Treasury Secretary Henry Paulson proposed the most ambitious overhaul of the financial regulatory system since the stock market crash of 1929. The plan would change how the government regulates thousands of businesses from the nation’s biggest banks and investment houses down to the local insurance agent and mortgage broker. Among the recommendations was closing the Office of Thrift Supervision and moving its functions to the Office of the Comptroller of the Currency, which regulates banks. Democrats in Congress reacted negatively to Paulson’s overhaul plan, and it was unclear where the majority party stood on the issue of eliminating OTS. Do you think somewhere in all your wonderful pages you could a place to file a complaint against a bank for possible fraudulent practices. If they are not they should be. You tout how well you regulate banks but I have been denied access to my money except through a branch for 4 days due to a mistake they made. At least say banks are like the government - not responsible for their actions. To: the Directors of the Treasury and the I.R.S. :Most people don't like the I.R.S. ...they're selfish and immature. The fact is that what we know as the "First" and "Second" World War were just the most recent in world history in general and European History in particular, until the U.S. military put a stop to it Europe alone fought world wars in the past five centuries and if it wasn't for the I.R.S. collecting taxes and the Department of the Treasury keeping America going I can tell you with absolute certainty in an age of nuclear and biological warfare without you the world would be dead in 5-10 years. Alexander Saxon Thank-you for the work you do and every employee should be aware of their real job and their real significance in their role. For the sake of Department moral a program to inform them of these very facts should be instituted. After all if you look at world history the world would have been entering the 3rd year of world war right now if it weren't for you. Despite the fact that Wall Street donated nearly three times more money to Mitt Romney than to President Barack Obama, the big banks got Obama to name one of their own as the next Secretary of the Treasury. Wall Street’s sighs of relief were nearly audible when Obama announced his intent to nominate Jacob “Jack” J. Lew, the current Director of the Office of Management and Budget (OMB), to succeed current Treasury Secretary Timothy Geithner. Lew, who worked for Citigroup from 2006 through 2008, is arguably more of a Wall Street insider than was Geithner, whose only experience there was as president of the New York Federal Reserve—a government job. Born August 29, 1955, in New York City, Lew grew up with a Polish immigrant father who was an attorney and rare-book dealer, and a mother who was an office manager. After graduating Forest Hills High School in 1972, Lew attended Carleton College (where his faculty advisor was future Democratic Senator Paul Wellstone) for a year before transferring to Harvard, where he earned a B.A. in 1978. He earned a JD at Georgetown University Law School in 1983. Fascinated by politics from a young age, Lew’s first political experience came at age 12 when he volunteered for the insurgent, anti-war presidential run of Sen. Eugene McCarthy (D-Wisconsin) in 1968. His first taste of Washington came in 1973 when he interned for five months with Rep. Bella Abzug (D-New York). He also worked as a legislative aide to Rep. Joe Moakley (D-Massachusetts) from February 1974 to August 1975. After Harvard, Lew worked about a year for the city of Boston Office of Management and Budget as deputy director of the Office of Program Analysis. In August 1979 he joined the office of House Speaker Thomas “Tip” O’Neill and remained until O’Neill’s retirement in January 1987. The last two years with O’Neill, Lew served as a principal domestic policy advisor and as assistant director, then executive director, for the House Democratic Steering and Policy Committee. In January 1987, he joined the law firm of Van Ness, Feldman and Curtis, where he practiced energy law. During his five years at the firm, he also served as issues director for the Democratic National Committee’s Campaign 88. From January 1992 to February 1993 he worked as executive director of the Center for Middle East Research. Lew left the White House in October 1994 to work as OMB’s executive associate director and associate director for legislative affairs. From August 1995 until July 1998, Lew served as deputy director of OMB, functioning as the agency’s chief operating officer responsible for day-to-day management of a staff of 500. He frequently served as a member of the administration’s negotiating team, including work on the Balanced Budget Act of 1997. President Clinton nominated Lew to be director of OMB, and he took over in July 1998. He served in that capacity until the end of the Clinton Administration in January 2001, and left behind a federal budget that was in the black by $237 billion. Lew departed Washington to become executive vice president for operations at New York University, along with serving as a clinical professor of public administration at NYU’s Wagner School of Public Service. At NYU, he played the part of a “union-buster” instrumental in ending graduate teaching students’ collective bargaining rights. In June 2006, Lew left NYU for the post of managing director and chief operating officer of Citigroup’s Global Wealth Management. He then became managing director and chief operating officer of Citi Alternative Investments (CAI), responsible for financial derivatives traded for the bank’s own account, which ultimately lost billions. Nevertheless, Lew received a $900,000-plus bonus in 2009—after the company’s federal bailout. He also chaired the CAI Operating Committee and served as a member of the CAI Management Committee. He joined the Obama administration in January 2009 as deputy secretary of state for management and resources, a position he held until his selection as OMB director, officially submitted to the Senate on August 5, 2010. The Senate confirmed Lew on November 18 after a lengthy delay caused by Sen. Mary Landrieu (D-Louisiana), who objected to the Obama administration’s moratorium on oil drilling in the Gulf of Mexico. In January 2012, Lew left OMB to become White House Chief of Staff, replacing William Daley, who held the post for only a year. Lew has co-chaired the advisory board for City Year New York. He’s been a member of the Council on Foreign Relations, the Brookings Institution Hamilton Project Advisory Board, and the National Academy of Social Insurance. From 2004 to 2008, Lew served on the board of the Corporation for National and Community Service (which runs AmeriCorps) and chaired its Management, Administration, and Governance Committee. Lew is a member of the bar in Massachusetts and the District of Columbia. Lew and his wife, Ruth (née Schwartz), his high school sweetheart, have a daughter and a son. They practice Orthodox Judaism.